Innovation is the process of improving or recreating a concept, product or service and it applies very much in all aspects of the technology world. As technology changes around us, so do people’s habits. Back in a time when social media wasn’t a thing, people spent their time in other ways. Nowadays people can barely imagine a life without social media. Mobiles have become basically a part of our existence and for many, it’s near impossible to be away from their mobile for even an hour. How does this apply to you? Well if you’re running an online business then you need to realize your customers touchpoints and be able to innovate in order to keep a flow of customers coming in should you hit a wall at some point if you haven’t already. As generations go on, people are changing rapidly in how they do things. Generation Z is less likely to be brand-loyal as compared to prior generations. More and more people are entrepreneurial. And if you’re trying to bring in traffic to your company, you need to be ready to innovate or change things up to stay fresh. It’s the challenge of most every business person who will face this at some point. If you’re looking for ideas or solutions then this is the product for you. You obviously realize that you’re not the only game in town. A lot of other marketers and business owners will be competing for your same market. That’s why you need to be able to adapt and adopt new ideas. 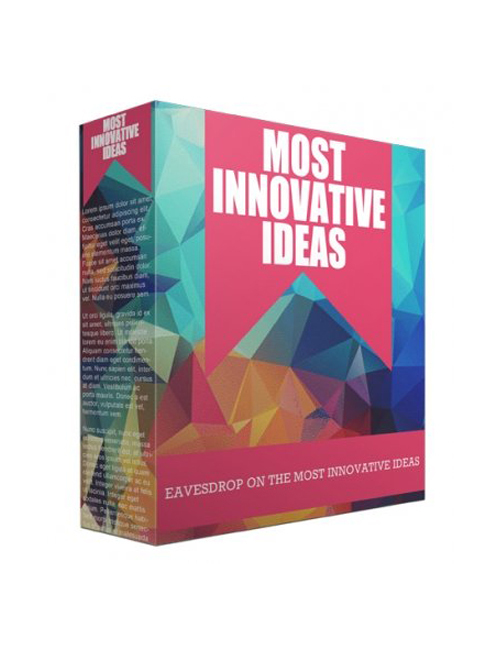 Innovation is key to staying at the top and this audio will definitely deliver some great ideas which will give you your “Wow” moment and open a whole avenue of new and fresh ideas and concepts. Grab this audio today if you’re ready.